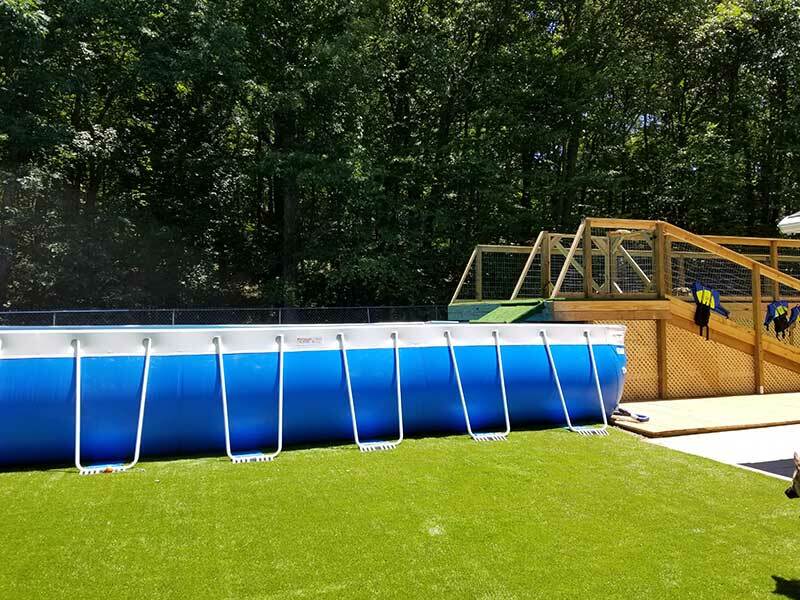 Wagging Tails Pet Resort & Spaw is home to Connecticut’s ONLY Ultimate Air Dogs Dock Diving Pool. 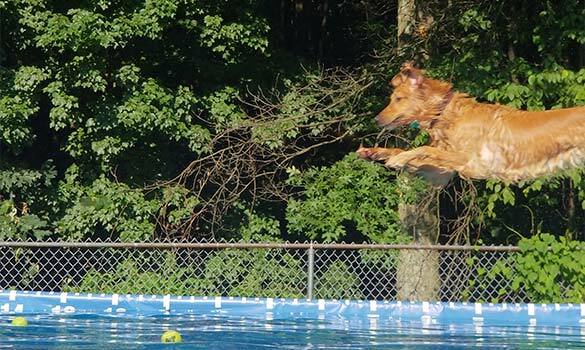 Is your dog full of energy and just jumping at the chance to expend it? 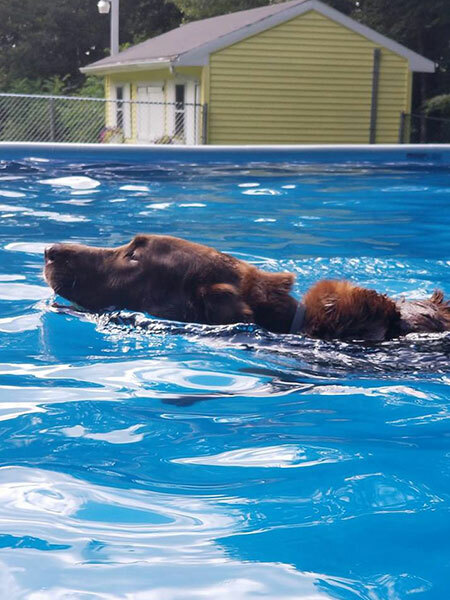 Does he love to swim, retrieve and run at amazing speeds? Then join the Wagging Tails Connecticut Air Dogs Club! 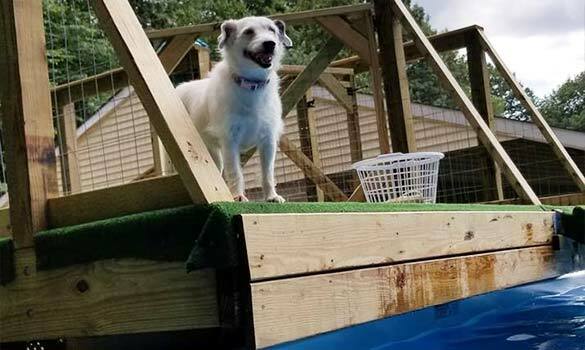 Your dog will LOVE dock diving! 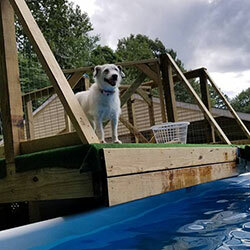 Wagging Tails is proud to have a gorgeous, state-of-the-art, fully-certified Dock Diving Pool for dogs. 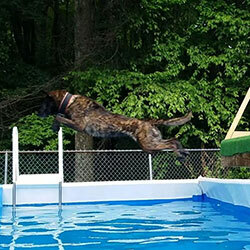 Dock diving is a very popular, quickly growing sport for dogs of all shapes, ages and sizes. 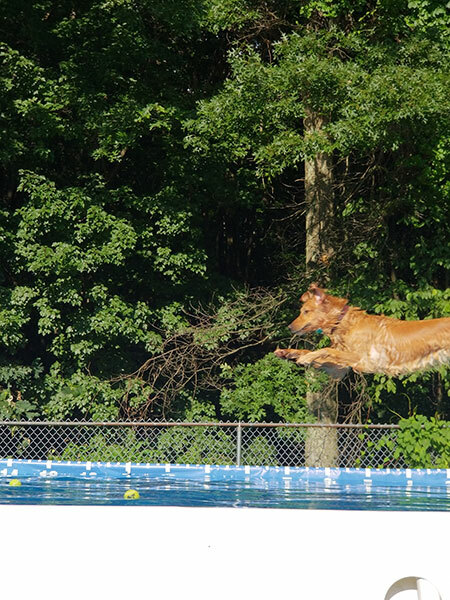 Dogs run down a 40′ dock and compete to jump the furthest into the pool, the highest to retrieve a dangling toy or the fastest to retrieve a floating toy. 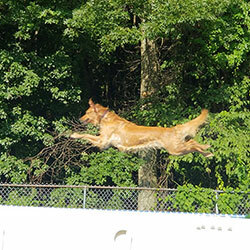 Wagging Tails will host many dock diving events from May through October each year. This family-friendly sport is an awesome opportunity to bond with your dog, expend their energy, and meet other pet loving parents. Wagging Tails is a family-run pet resort. 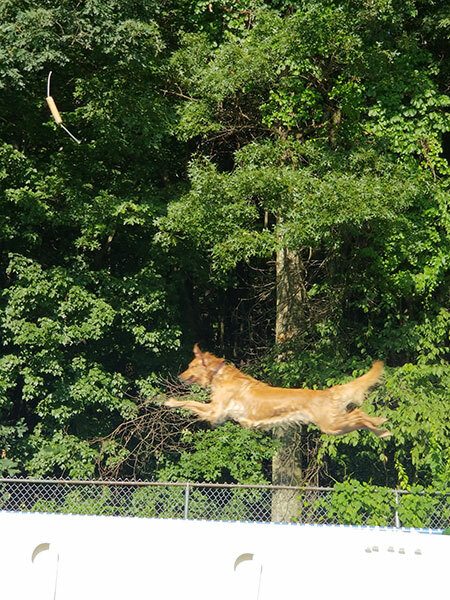 Our pets are part of our family, and we strongly feel that dock diving is a family sport. Having youths involved with their pets in this sport promotes teamwork, confidence, responsibility, patience and dedication. 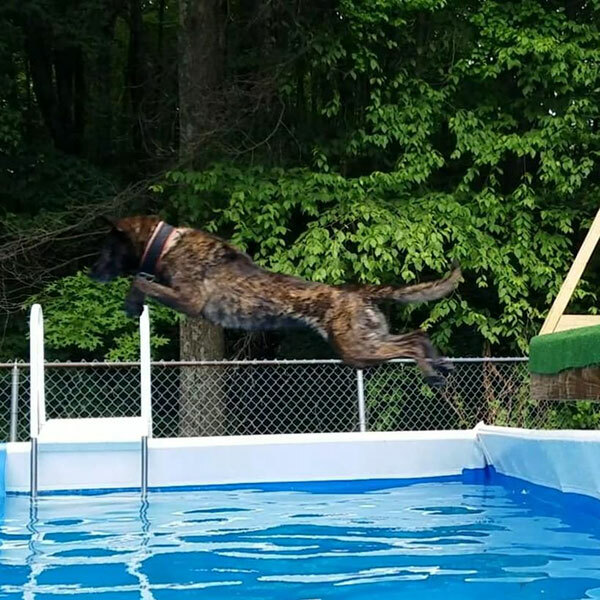 Kids AND their dogs will love participating in dock diving! During practices and competitions, Youth Handlers must be accompanied by an adult on the dock, and must wear their own (you provide) lifejacket. Since the pool is 4′ deep, Youth Handlers must be able to swim. At all times, children are not allowed on the dock or in the pool unsupervised. Dock Diving Season is May through October 1st. 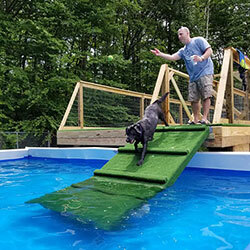 You do NOT have to be a member to participate in any of the dock diving events at Wagging Tails. However, members receive discounted access to the pool, discount event pricing and training time too. We encourage you to join. 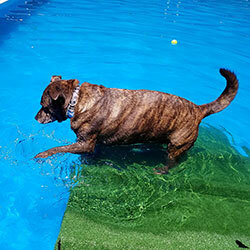 After your dog has gotten acclimated to the dock, to diving and the water, they can enjoy and attend more classes, training, pool rentals and seminars. This membership includes up to 3 dogs in one family and more than one handler. One free pool rental per seasonal month (based on availability). 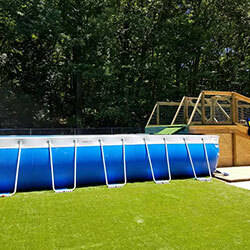 Half off other pool rentals ($20). Access to Private Club Facebook page. First notification on events. First opportunity to sign up for training events or seminars. $5 off Splash and Events. 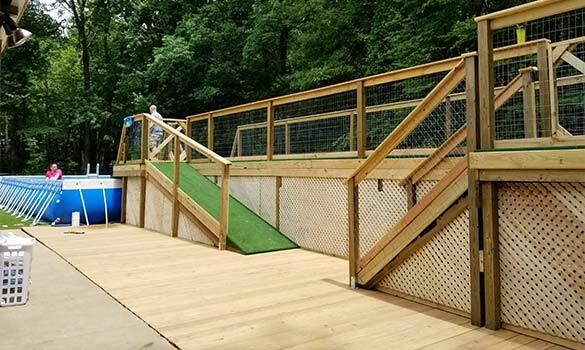 5% off Wagging Tails Pet Resort & Spaw boarding. This membership includes 1 dog in one family and one handler. Discounted $30 per hour pool rental ($40 to non-members) (based on availability). Access to Private Club Facebook Page. Early notification on events, training or seminars. $5 off Splashes and Events. 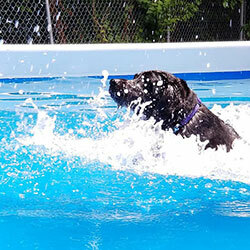 5% off Wagging Tails Pet Resort & Spaw boarding. 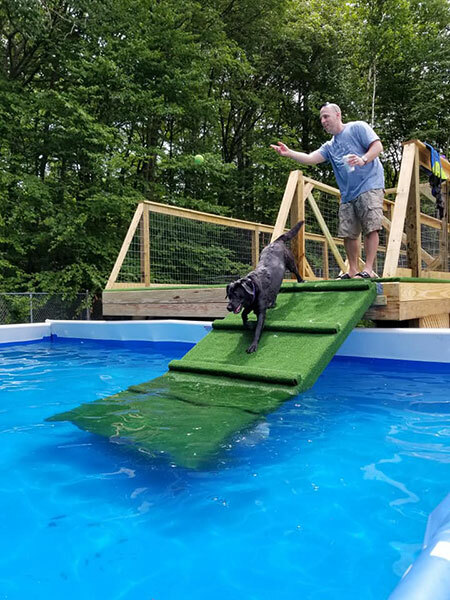 If you’re not sure what to expect from dock diving, or how to do it, Wagging Tails Pet Resort & Spaw offers TRY IT sessions. 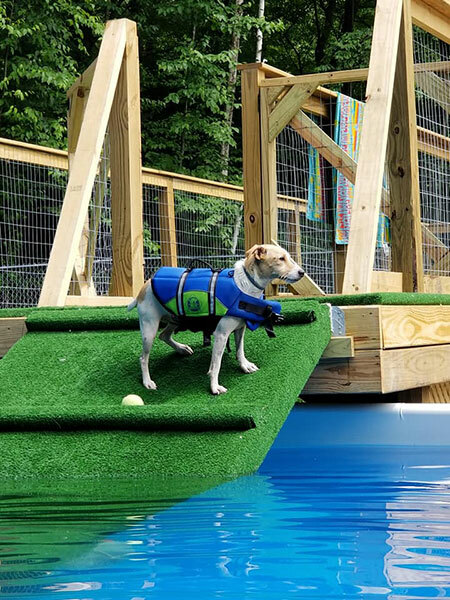 This session is for dogs who do swim, but are not sure how to jump off the dock. Our trainers will work with you and your dog to slowly introduce you both to this incredibly fun, exhilarating sport! Includes introduction to the dock, the pool, throwing techniques, control of dogs on dock and rules of dock diving. 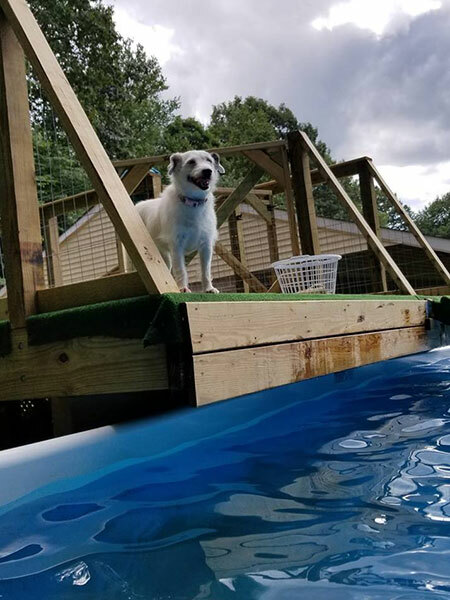 Limited space available for dogs to try out their ability on the dock. Dogs must be over 6 months old to jump off the dock. Maximum 6 dogs per class. Private classes also available. Non-refundable. Rain or shine. 24-hour cancellation policy. 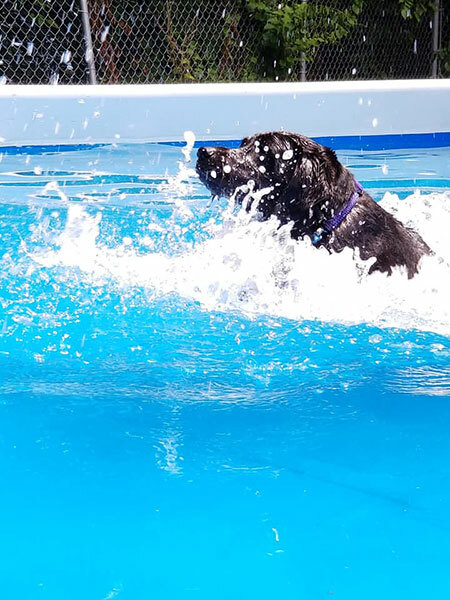 For dogs that are under 6 months of age and have little swim experience. These pups will get accustomed to the dock and water from the ramp. Maximum 6 dogs per class. Private classes also available. 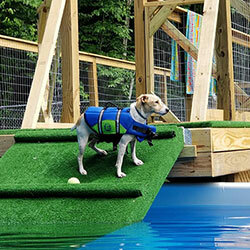 The pool and dock at Wagging Tails Pet Resort & Spaw are available for rental by both members and non-members. 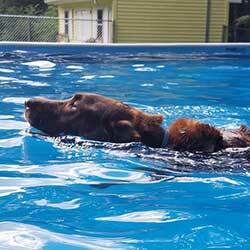 Non-member pool rental pricing is $40 per hour for 2 people and up to 4 dogs. Club Full Members receive one free rental per month, and subsequent rentals at $20 per hour. Limited Club Members receive a $30 per hour discounted rental fee. 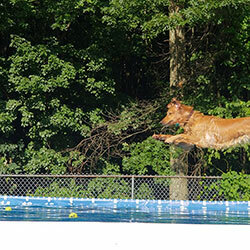 For up to 6 dogs, who have completed a Try-It session or have competed in dock diving events before. Dogs must be comfortable on the dock and in the water. One-hour training sessions are $25 for non-members for one dog, $20 for additional dogs. Prepayment required. Sessions are rain or shine. 24-hour cancellation policy. No smoking is allowed on Wagging Tails Pet Resort & Spaw property. No dogs in heat allowed on the property. 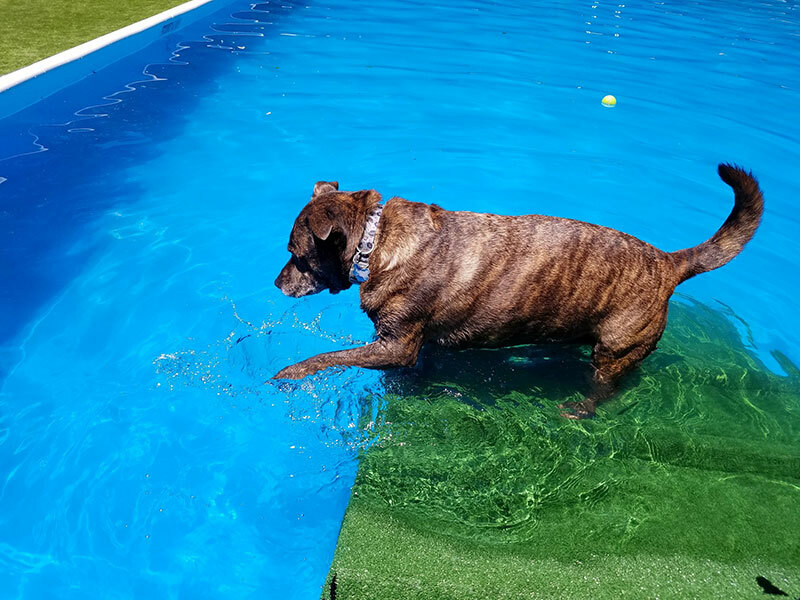 No e-collars or prong collars are allowed on dogs while in the pool area. No people are allowed in the pool. Dogs only! All dogs must be registered at the front desk. Owner must provide proof of rabies, parvo, distemper and bordetella vaccines. 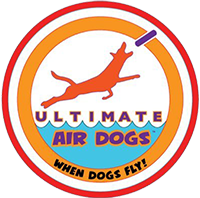 Click here for more information about the Ultimate Air Dogs organization, events, rules and the fast-growing sport of Dock Diving for Dogs.